Quick overview ‘The only badgers I ever get to see are dead ones.’ ‘Well, if you keep seeing dead ones, their family can’t be far away.’ This throwaway conversation niggled, leading Caroline Greville to seek out her own neighbourhood badgers near her Kent home. She found them and was soon well-acquainted – so too were most of her family. A sense of interconnectedness developed as they had more badger contact than they could have hoped for. Badger Clan charts a simple quest that turns into a full-blown obsession. 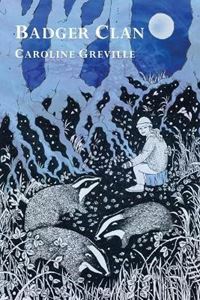 From loitering near a sett to working as local contact for a regional badger group, this memoir tells of wild encounters and gradual, intimate knowledge of the local clan. The story is rooted in rural village life, while the family are honestly depicted and relatable. A feel-good read in which enthusiast and elusive creature become inextricably bound.